The Montgomery GI Bill is considered by many to be one of the easiest and wisest ways for cash-strapped students to pay for college. In fact, for as little as two years of military service, a student can receive just under $50,000 in tuition assistance from the government. Yet, while the GI Bill might be one of the easiest ways to pay for college, its requirements, calculations, and rules are some of the most complicated. Eligible service people and veterans often find themselves missing out on benefits due to missed deadlines and other rules. 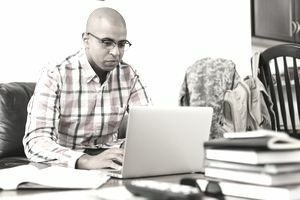 With this review, learn more about the GI Bill and whether its benefits make a strong enough case for you to join the military to pay for your college tuition. The Montgomery GI Bill provides a monthly benefit amount that is reset every Oct. 1. This rate is adjusted downward for students who are half or part-time. The current maximum monthly benefit is $1,368 and can be received for up to 36 months. Thus, the maximum lifetime benefit available under the Montgomery GI Bill program is currently $49,248. There are exceptions to this policy for personnel that participate in certain programs and incentives such as the Top-Up, Buy Up, or the Army, Navy or Marine Corps College Funds programs. Eligible service people generally have 10 years from an honorable discharge to use their benefits. A contribution of $100 per month for the first 12 months of active duty into the GI Bill program. Receipt of a high school diploma or equivalency certificate before applying. At least two years of active duty service. The rules vary further depending on an applicant’s military classification (active duty, veteran, National/Air Guard or Selected Reserves). Additionally, certain dependents may be eligible to participate in a parent’s Montgomery GI Bill benefits. Select a school or training program that has been deemed eligible by the Veterans Administration. You can find a list of eligible schools on the VA website. Fill out and send in VA Form 22-1990 to your Veterans Administration Regional Processing Office. After submitting the application, if the VA doesn’t require any additional information, you will receive a letter outlining the benefits for which you are eligible. After completing any additional requests for information, your monthly benefit check will begin arriving in the mail or by direct deposit. Due to the complexity of the Montgomery GI Bill, it is highly recommended that you seek guidance from your local Voluntary Education Services Office. Additional resources can also be found on the government’s website for the Montgomery GI Bill. And, by all means, if you know any individuals who paid for their college tuition with help from the G.I. bill, talk to them about their experience, especially if they used the bill's benefits recently. If you don't have the fortune of knowing someone personally who went to college courtesy of the G.I. Bill, you might visit websites for veterans or contact organizations for veterans that might point you in the right direction.